The Autostacker is the latest-model parking lift to hit the home and commercial markets. With the strength to handle loads up to 6,000 lbs. and the minimal footprint necessary for a home garage lift, the Autostacker is the perfect garage parking lift for any home or shop owner. The revolutionary Autostacker™ PL-6SR parking lift is a reflection of our continuing commitment to design and deliver innovative vehicle storage solutions that offer only the highest value to our customers. The space-saving design means you can now stack one vehicle above another in the same space typically required for a single parking stall. With the strength to handle loads up to 6,000 pounds and a footprint considerably smaller than other mechanical parking systems, the PL-6SR delivers more parking capability space per square inch than any other lift in its class. Despite Autostacker’s overall compact design, it provides a generous 85” of underside clearance. Benefiting from the knowledge of BendPak’s vast automotive experience, Autostacker has applied many of the same technologies to its family of commercial vehicle parking systems. Thanks to Autostacker's auto-synchronizing power system and simple operator controls, more versatility and greater reliability are achieved. Only the Autostacker offers your operation the flexibility of using a compact, vertical lifting platform to double your car or truck parking capability literally overnight, either indoors or outside. Our innovative design uses tandem direct-drive hydraulic cylinders that are smartly concealed within paired scissors structures that act as the lifting muscle for the full-length galvanized platform. Every Autostacker that rolls off our assembly line incorporates materials and operating components that are of the highest quality, skillfully designed to match our pedigree for ruggedness and dependability. 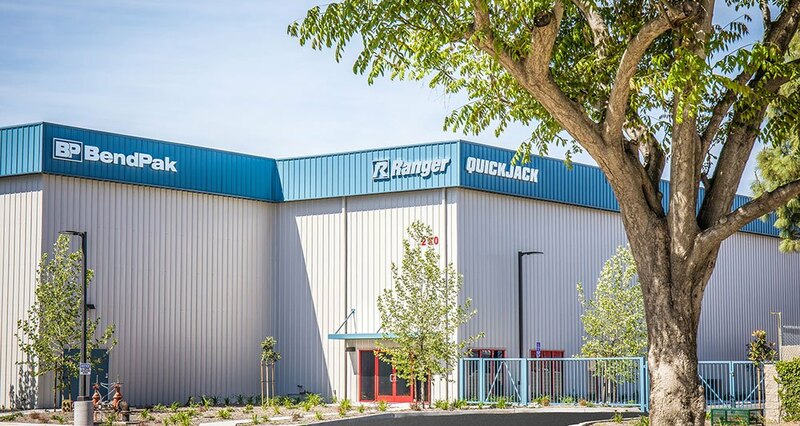 Combined with BendPak’s tradition of rugged and reliable construction and the Autostacker’s innovative engineering, it’s easy to see why Autostacker is America’s premier provider of vehicle storage solutions. As the costs of commercial and residential development increase, gaining additional parking spaces in the same useable space provides instant value. Autostacker mechanical parking systems are designed to increase parking density and cut costs over traditional parking methods. There are, of course, other ways to add parking spaces. In-ground parking requires a construction crew to excavate into a conventional basement, which is extremely costly and difficult, not to mention messy. If you need to dig down or add levels to existing parking areas, you’re looking at costs ranging from $35,000 to $50,000 per stall. When using Autostacker parking systems, you’ll find that you are able to store vehicles in a much tighter space than typically required for individual parking units. A normal parking stall requires around 300 – 350 square feet for the stall, plus a moderate amount of clearance for drive aisles. Autostacker’s floor space requirement is just 200 square feet, and again, that delivers you two spaces, not just the one. Love the Autostacker but worry that it isn't made for maintenance? Worry no more! Now you can easily replace four of the standard galvanized deck sections with this useful welded-steel sub-frame assembly. Removable aluminum center panel provides a large 51.5" x 30" opening and features an attractive diamond-plate design. Add one or up to three replacement kits for a totally open-center parking lift experience. Autostacker provides helpful manuals and publications that are made available through your Autostacker dealer. Maintenance and parts manuals, as well as operator manuals, can be ordered using the serial number found on your lift. If you have never used a mechanical parking system or would like details about providing a training program for your work or commercial business, ask your Autostacker dealer about training options. Consider how Autostacker’s small footprint and virtually flush base frame design allows for tighter turning and increased maneuverability making vehicle positioning on and under the lift a whole lot easier. Unlike other surface mounted parking lifts with multiple columns, elevated outrigger tubes and large equalizing bars, only the Autostacker with none of these hindering elements allows for precise vehicle maneuvering in even the most confined areas of your garage space or operation. The versatility of the Autostacker car parking system makes it the right lift for several reasons. To start with, it is ready to tackle demanding indoor or outdoor use even on asphalt surfaces and it offers the perfect solution for safely storing cars, trucks and SUV’s inside your garage or vehicle storage facility. And if that weren't enough, these rugged auto parking lifts increase the value of your property. When you realize just how many ways the innovative and truly unique Autostacker can benefit your operation, you'll discover the true value that only Autostacker can provide. Only the Autostacker gives you two spaces in one for less than any other comparable option. Because it is smartly designed using a simple and commercially tested hydraulic power system, it not only delivers a smooth and more controlled operation, but it dramatically decreases the amount of maintenance and service costs that plague typical mechanically operated systems with chains, cables and complicated electronics. When you combine these benefits with the Autostacker’s optional master power unit capable of powering up to ten lifts on a single motor, this will likely be the most versatile parking lift you’ll soon come to love. Rapid rise and descent speeds are delivered through a dependable hydraulic circuit that provides precise, equalized lifting without the need for complicated electronics that often fail when subjected to high-use and soiled or damp work environments. With the simple press of a button, your vehicle is elevated and an added parking space is instantly created. No more parking outdoors or cramming into undesirable parking spaces. It’s just that easy. Want the ultimate in security against vandalism and vehicle theft? Park your car almost eight feet in the air! Many of our clients appreciate the added value of parking their car up and out of the way, clear of everyday threats and chance occurrences that plague defenseless cars left idle in their surroundings. Maybe you’re one who adores cats but hates finding unsightly paw prints all over your car; maybe unruly animals are treating your sparkling clean wheels as their own personal urinal; perhaps your car has taken on a secondary role as your kids’ backstop. In any case, whatever your car parking phobia may be, you’ll be instantly relieved when you realize your vehicle is parked high and out of range of kids, pets and vandals. Vehicles parked below the Autostacker are protected by a barrier that prevents nearby swinging car doors from making contact with your car; it also protects your prized possessions against scratches, dings and dents often caused by toys, bikes, trashcans or other property being carelessly hauled through garage aisles. Without the advantage of wrap-around perimeter protection, your vehicle can be easily dented, a common occurrence in parking spaces everywhere. In both home garages and commercial settings, the Autostacker acts as vehicle sentry, guarding against the calamities of typical garage chaos and clutter. The Autostacker features our patent-pending, low-profile, gradual sloping lift platform. This somewhat insignificant-sounding feature plays a very significant role when it comes to driving on and off the lift platform. While most other car lifts feature a level deck with an aggressively angled entry ramp, we’ve purposefully designed the Autostacker with a full-width, gradually sloping platform that reduces the height at the approach end, making vehicle entry and exit an easy, pain-free affair. With a barely noticeable incline of just 5 degrees, Autostacker easily accommodates Corvettes, Porsches, Vipers, Mustangs, BMWs, Ferraris and other high performance cars with wide tires and/or low ground clearance. Autostacker’s patented Door-sentry™ car door protectors include a full-length design that accommodates a wide variety of door types, shapes and heights. Regardless of whether your car doors sit high or low, if they’re opened up quickly and carelessly, Autostacker’s impact-cushioning door guards are ready to protect them from dings, scratches and dents. By providing this extra level of security, the Autostacker gives you peace of mind, protecting your car when you can’t. Our commitment to quality is uncompromised. Our dedication to taking your parking challenges to the next level extends well beyond the physical reach of our products. Our advanced yet simple design enables our lifts to perform effortlessly and tirelessly, year after year, with very little maintenance or service required. After all, we can’t expect you to be a parking lift expert—that’s our job. Featuring rugged, welded steel construction, very few moving parts and an uncomplicated fluid power system, the hydro-mechanical Autostacker offers the most economical and dependable method of lifting to deliver you many years of trouble-free service. Firm in our commitment to deliver a more comfortable environment for the operator and those in the surrounding area, a whispering 52 decibels means Autostacker parking lifts are less noisy than a typical household appliance. Our passion for providing an enjoyable environment for the operator extends beyond low noise levels. Ergonomic controls, mitigated trip hazards and extra tall lifting height means increased operator safety and headroom and comfort providing more productivity. Autostacker™ is a premier parking lift manufacturer specializing in the design and manufacture of safe and reliable vehicle storage solutions for both home and business. Our bloodline comes from BendPak, the most respected name in the car lift industry. Quality and reliability are the hallmarks that have made BendPak the signature manufacturer of car lifts the world over. BendPak’s legacy is the result of over five decades of car-lift-building experience, excellence and heritage. Channeling BendPak’s decades of technological expertise, Autostacker is poised to be the world leader in advanced hydro-mechanical parking systems. Autostacker, BendPak, and the Autostacker and BendPak logos are all registered trademarks of BendPak Incorporated. Autostacker reserves the right to make product changes relating to colors, equipment, specifications or available options without notice. For more information, contact your Autostacker representative. Audible alarm and warning buzzer alerts operator and bystanders when the lift is in operation.